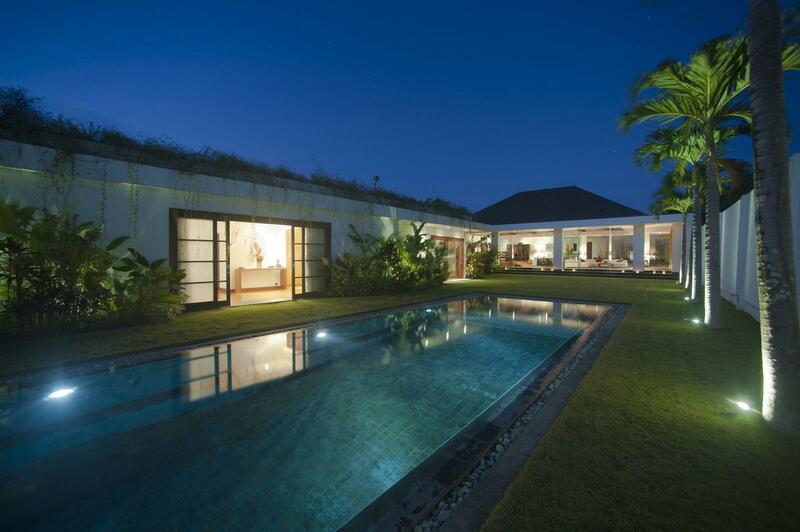 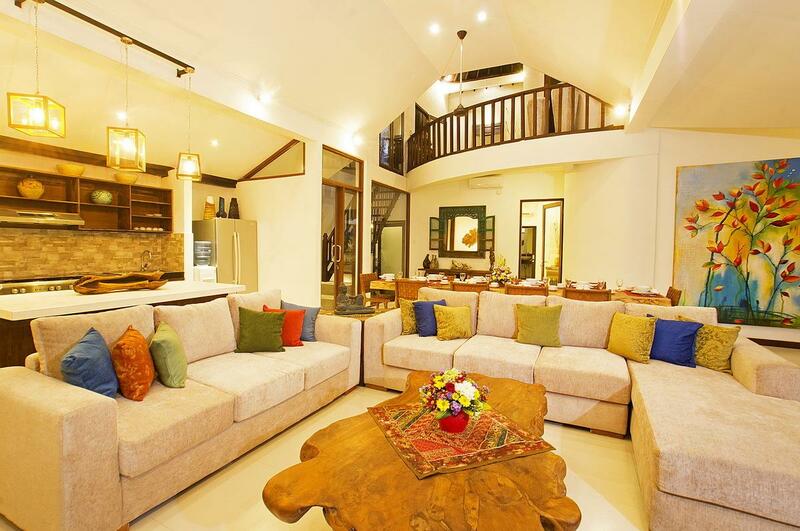 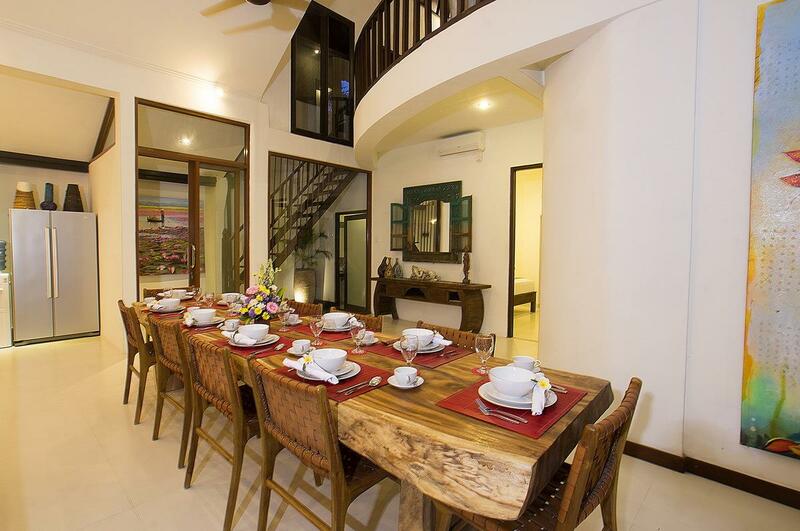 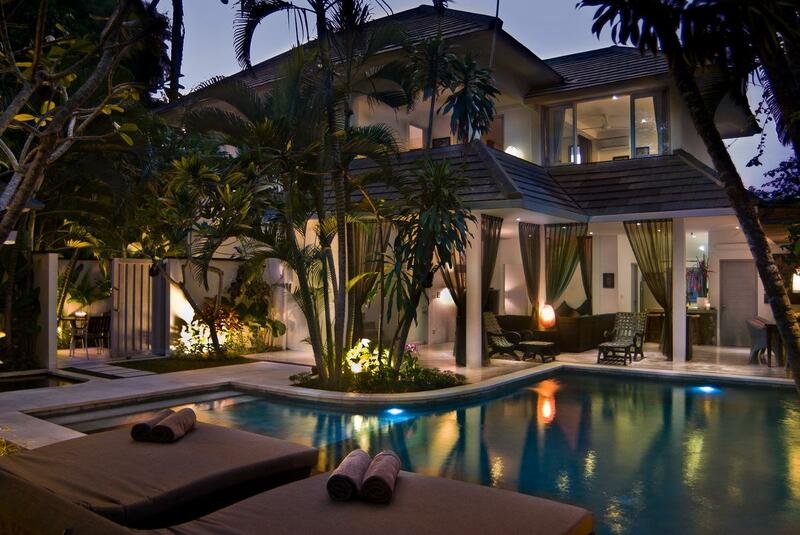 The villa is architecturally designed mix of modern and traditional Balinese home. 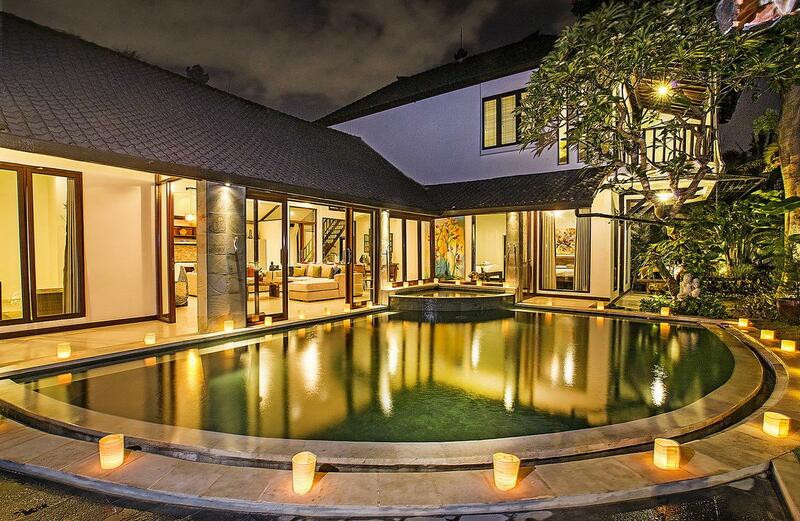 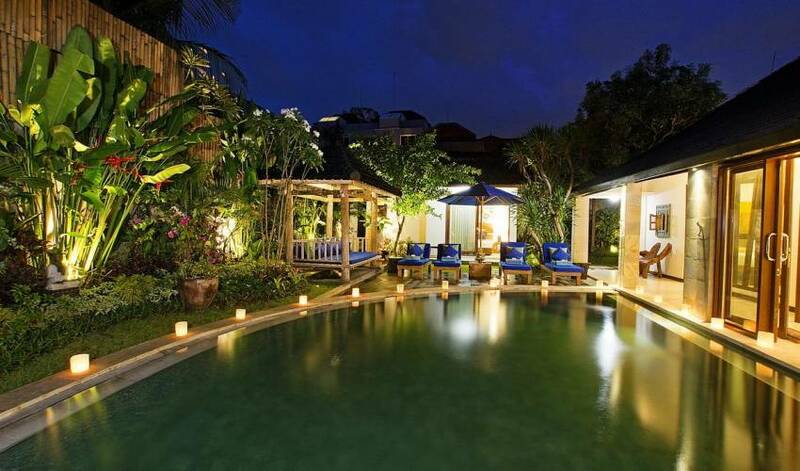 Well situated in Petitenget, Seminyak, the villa is within 15 minutes walk/ 7 minutes drive to the nearest beach on Petitenget, the famous Mirror Lounge & Club within 250 meters or 3 minutes walk, Sarong Restaurant 350 meters and plenty choices of eat street and boutiques can be reach within 3- 10 minutes walk. 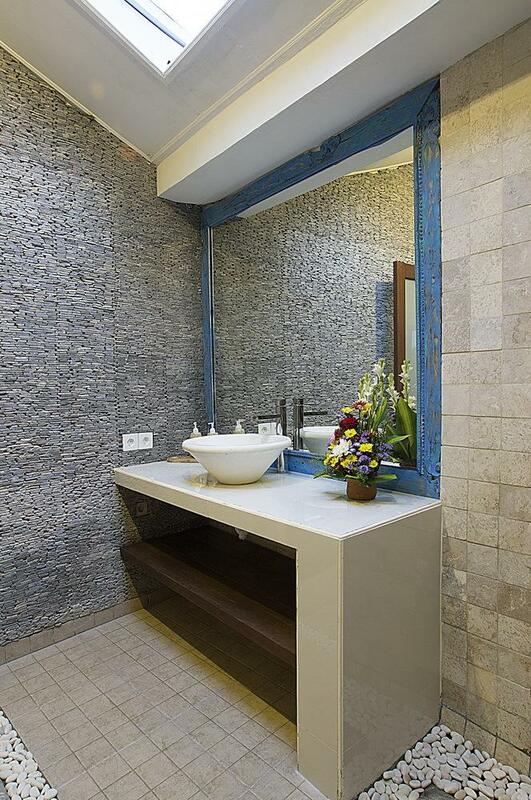 It is just step away to SOHAM Wellness center for spa indulgence. The villa feature 5 bedrooms with en-suite each, enclosed living with air-conditioning, TV and entertainment equipment, dining with full set tableware and gourmet kitchen equipped with modern kitchen appliances, kitchenware & cutlery. 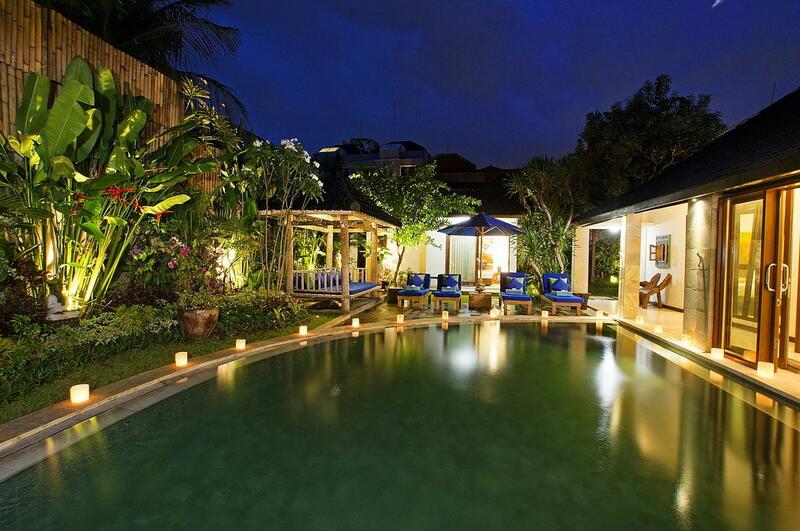 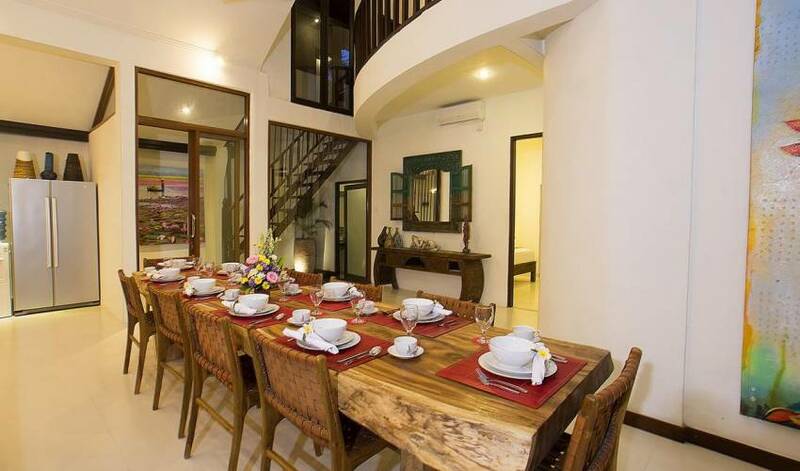 Our villa can accommodate up to 12 people sleep comfortably in 5-bedrooms with total 7 beds. 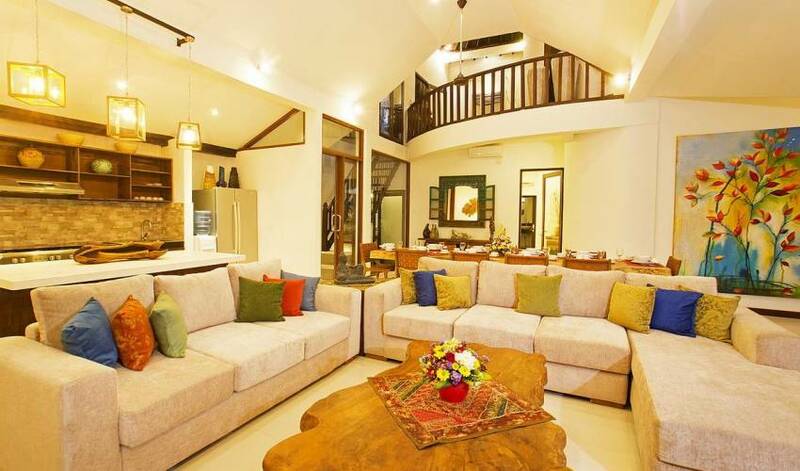 The 1st room is Master bedroom located on the second floor has king size bed, 2nd room is Family bedroom located in the main house has king size bed and 2 single beds, 3rd room is Guest bedroom located next to family room has queen size bed, 4th room is another Guest bedroom located near living area has queen size bed and the 5th room is on detached building has double bed. 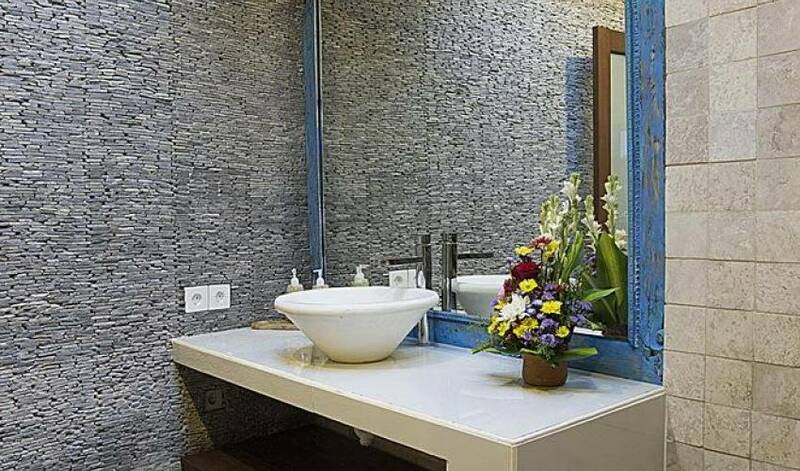 All bedrooms have en suite with quality amenities, quality bedding, AC, TV, wardrobes and safety box. 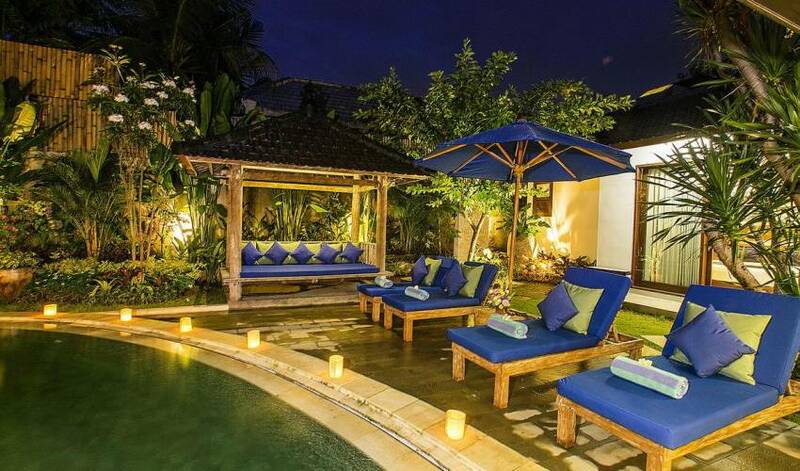 Swimming pool in the sun and has sun loungers with outdoor umbrella and pool side lanai/gazebo to relax and unwind. 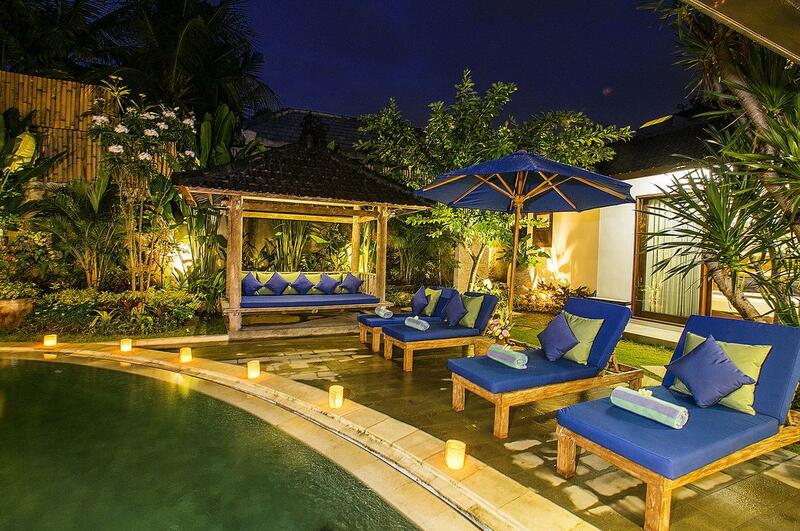 This villa is ideal for families or large groups looking for an idyllic get away holiday. 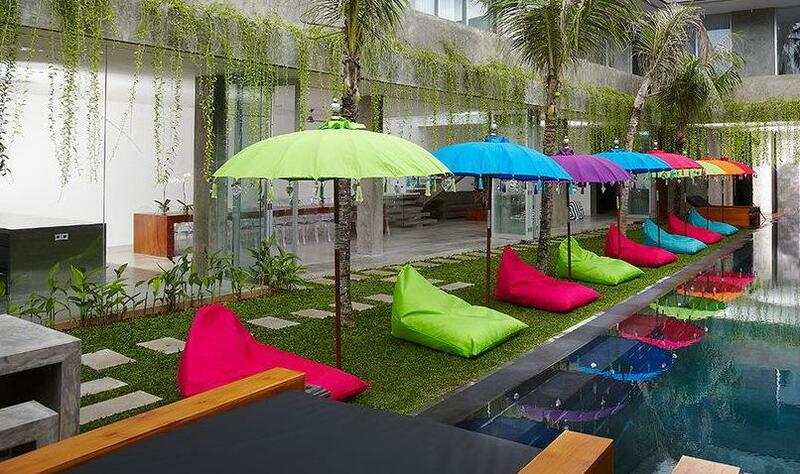 Our friendly dedicated staff available to assist you during your stay include: villa manager, staff housekeeper, rotating night security and pool man & gardener if required. 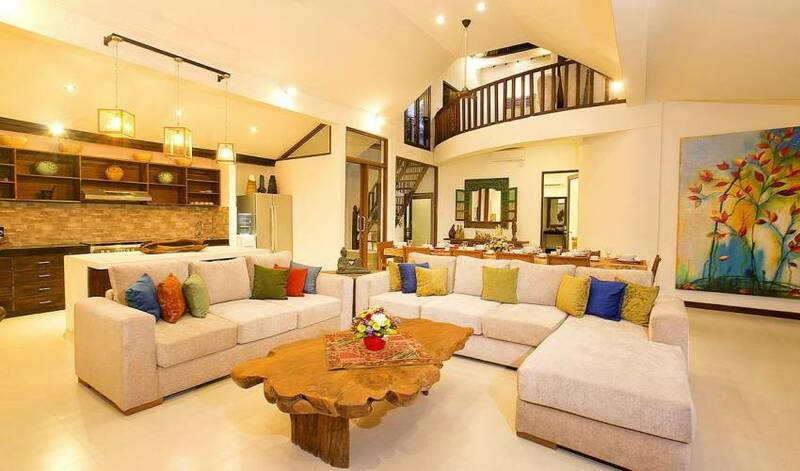 Our full-time housekeeping assisting you with daily villa maintenance such as cleaning your villa, washing dishes, changing linen and towels, as well as handling your laundry and any special requirements you may have.